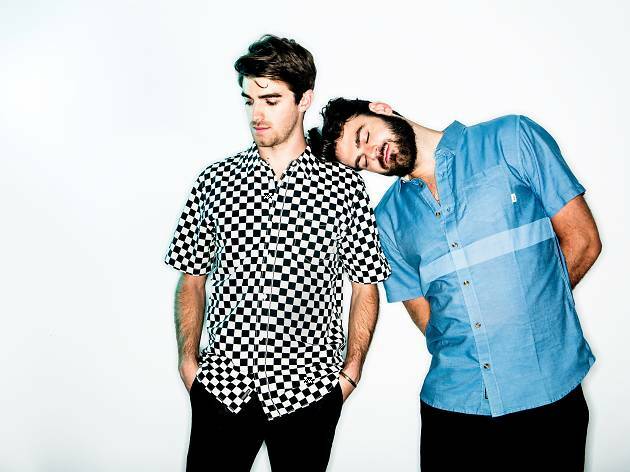 The Chainsmokers’ rise to the top has been a meteroic one that’s seen the pair, Alex Pall and Andrew Taggart, refuse to settle down in one genre. Their breakthrough in 2014 – the wonderfully self-aware #Selfie – saw them take their pop-tinged EDM sensibilities to a mainstream audience and their latest release, last year’s Memories... Do Not Open, brings a decidedly more soulful house sound to proceedings. It seems The Chainsmokers can do no wrong no matter what genre they turn their hand to, which makes choosing their best songs an unenvious task. But, after much discussion, here’s our selection of the top nine songs by the world-beating duo. Now, let’s just hope we get to hear them all at their AsiaWorld-Expo show on Tuesday March 27! If you haven’t already got your tickets, you better take action as there’s only a few left! The Chainsmokers’ first number one on The Billboard Hot 100. With more than two billion views on YouTube, Closer embodies the groups uncanny ability to mix heartfelt intuitive lyricism with an eminently danceable chorus. Expect an audience in raptures when this one drops. One of one the pair’s best forays into the melancholy. While still retaining a sound that’s very much true to the artists’ vision. With an ever-present, thumping beat, Paris manages to tug at the heartstrings and provides a simple, relatable tale of dangerous love. A pulsating rhythm punctuated by the deliciously gravelly tones of American singer-songwriter Daya add an extra layer of depth to Don’t Let Me Down. It also contains one of the best melodic hooks in the whole of The Chainsmokers’ back catalogue. Earth-shatteringly good. We’re hoping this song comes in midway through the show. The confessional, softly-uttered nature of the tune, complete with a simple piano backing, is ideal for an intimate moment with the audience. We’re ready to feel things. A song that’s infinitely relatable to any Hongkonger. New York City deals with the notion that despite living in a city jam-packed with people, loneliness is something that we all feel. The vocals by singer Brittany Amaradio serve to add vulnerability and gravitas to the lyrics. The duo’s breakout hit is a winking nod to our ubiquitous culture of social media validation. Neither congratulating nor condemning, it’s an expert observation piece that basically boils down the notion that despite selfies being self-serving and occasionally tacky, we love them anyway. Not to mention, it’s an absolute banger of a tune. 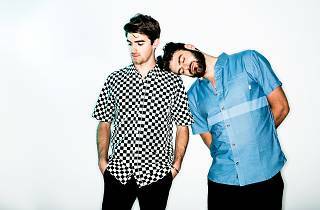 Decidedly more on the pop side of things, wearing their influences from the likes of Taylor Swift proudly, Roses is The Chainsmokers at their catchiest, most accessible and, taken in the context of their full back-catalogue, refreshing. A collaboration with stadium giants Coldplay always seemed like a match made in heaven for The Chainsmokers. And so it proved to be with this heady mix of laidback acoustics, punctuated with smatterings of explosive EDM-heavy synth goodness. Much as this serves as an uplifting jolt to the senses at the end of Memories... Do No Open, Last Day Alive would be the perfect finisher for The Chainsmokers’ set. A scintilating, summery synth melody serving as the perfect final hurrah for what will no doubt be a special evening. In fairness though, we’ll be content if they play it at any stage of the night.